World Archeology: Gladiator School Discovery Reveals Hard Lives of Ancient Warriors. Gladiator School Discovery Reveals Hard Lives of Ancient Warriors. Archaeologists have mapped an ancient gladiator school, where the famed warriors lived, trained, and fought. 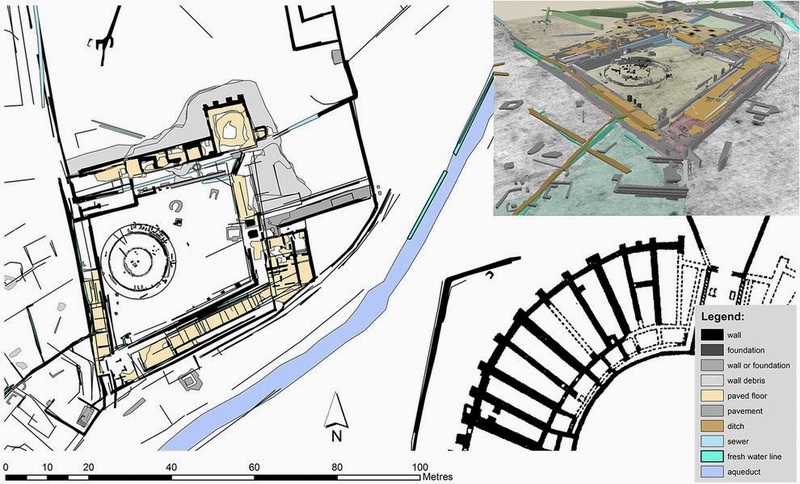 Ancient Rome's gladiators lived and trained in fortress prisons, according to an international team of archaeologists who mapped a school for the famed fighters. The discovery, reported Tuesday evening by the journal Antiquity, makes clear what sort of lives these famous ancient warriors led during the second century A.D. in the Roman Empire. "It was a prison; they were prisoners," says University of Vienna archaeologist Wolfgang Neubauer, who led the study team. "They lived in cells, in a fortress with only one gate out." The discovery shows that even outside Rome gladiators were "big business," Neubauer says. At least 80 gladiators, likely more, lived in the large, two-story facility equipped with a practice arena in its central courtyard. The site also included heated floors for winter training, baths, infirmaries, plumbing, and a nearby graveyard. The gladiators were clearly valued slaves, Neubauer says, kept apart and separate from the town of Carnuntum, which was founded on the Danube River by the Emperor Hadrian in A.D. 124 and later became a Roman stronghold. "The find at Carnuntum gives us a vivid impression of what it was like to live and train as a gladiator on the chilly northern border of the Roman Empire," says gladiator expert Kathleen Coleman of Harvard, who was not part of the study team. Although more than 100 gladiator schools were built throughout the Roman Empire, the only known remnants are in Rome, Carnuntum, and Pompeii (which had small, private gladiatorial grounds). Within the 118,400-square-foot (11,000-square-meter) walled compound at the Austrian site, gladiators trained year-round for combat at a nearby public amphitheater. "They weren't killed very often, they were too valuable," Neubauer says. "Lots of other people were likely killed at the amphitheater, people not trained to fight. And there was lots of bloodshed. But the combat between gladiators was the point of them performing, not them killing each other." This map of the gladiator school reveals that it was like a fortress or prison. The gladiators slept in 32-square-foot (3-square-meter) cells, home to one or two people. Those cells were kept separate from a wing holding bigger rooms for their trainers, known as magistri, themselves retired survivors of gladiatorial combat who specialized in teaching one style of weaponry and fighting. "The similarities show that gladiators were housed and trained in the provinces in the same way as in the metropolis [of Rome]," Coleman says. The one gate exiting the compound faced a road leading to the town's public amphitheater, reportedly the fourth largest in the empire. "They weren't a team," Neubauer says. "Each one was on his own, training to fight, and learning who they would combat at a central post we can see the remains of in our survey." 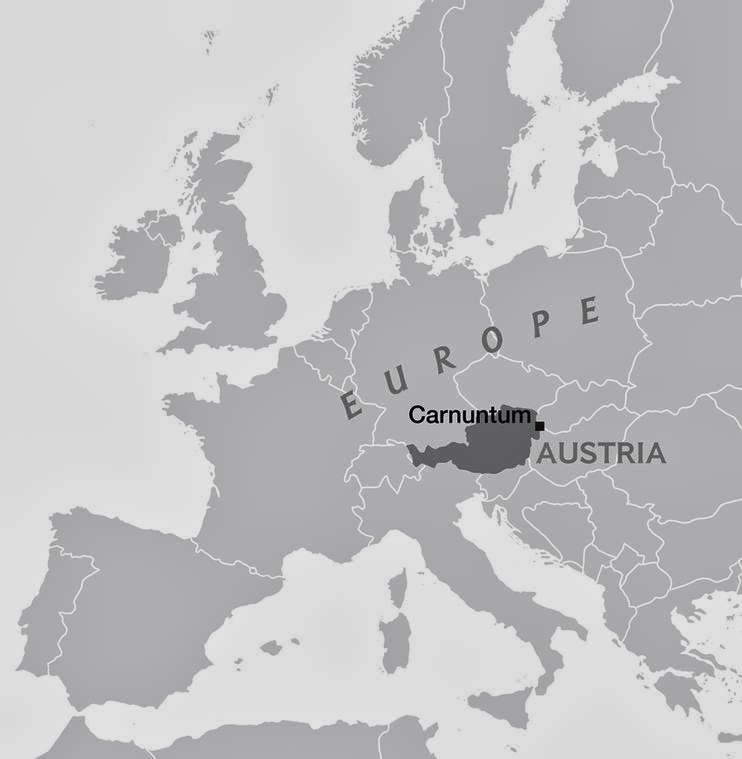 Neubauer expects to continue aboveground mapping efforts at Carnuntum, which is proving to have been a surprisingly large town. Analysis of bones from a gladiator graveyard in Ephesus, Turkey, suggests that gladiators ate a largely vegetarian diet, Neubauer notes. The team hopes to eventually perform a similar analysis on bones from the gladiator graveyard in Carnuntum, in a further attempt to explore the real lives of these ancient warriors. Monster Surf Exposes Rare Petroglyphs in Hawaii.